Mobile phones, underserved markets, and Bitcoin have created a wealth of new financial technology businesses. 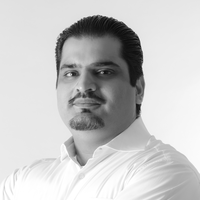 Faisal Khan is a banking, payments, and fintech consultant with a background in electrical engineering. How does Bitcoin change the business of payments? How is Starbucks iconic of the rapid change? How does Bitcoin compare to Ripple? How should developers choose between Stripe, Braintree, Paypal, and Square? Where do the complexities of the payments world come from?